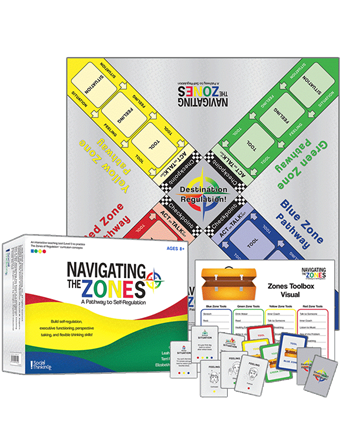 “Zones” is a curriculum designed to help students identify their feelings and emotional reactions and learn sensory and perspective taking strategies that encourage better self-regulation. A simple colour coded, four zones format encourages learning. This is a classroom and family friendly tool with wide application across students of all ages, right into adulthood. 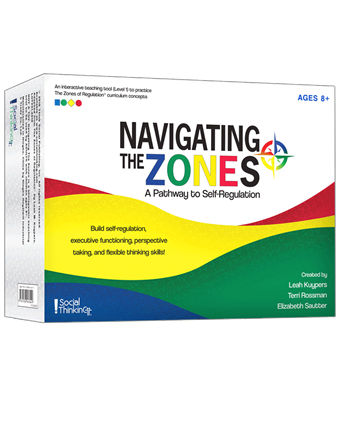 Buying Tip: “Zones” is for anyone working to develop self-regulation skills in young children to young adults. 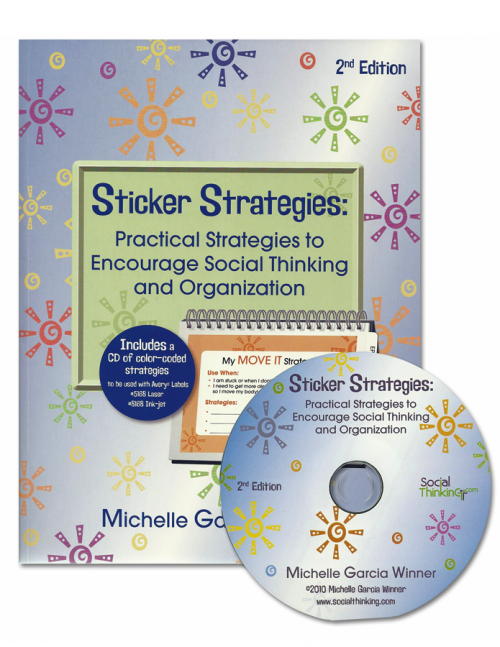 It’s an international best seller and our most popular resource. Schools around Australia and around the world are embedding “The Zones” across the whole school curriculum. 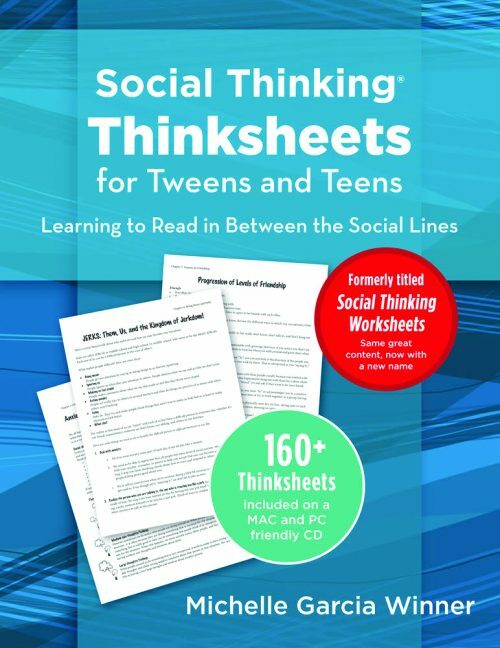 The resource can be used with individuals or with groups, and can be implemented by parents, by schools and by therapists. This book comes highly recommended. “Zones” is a curriculum designed to help students identify their feelings and emotional reactions and learn sensory and perspective taking strategies. These strategies in turn encourage better self-regulation. A simple colour coded, four zones format encourages learning. This is a classroom and family friendly tool with wide application across students of all ages, right into adulthood. 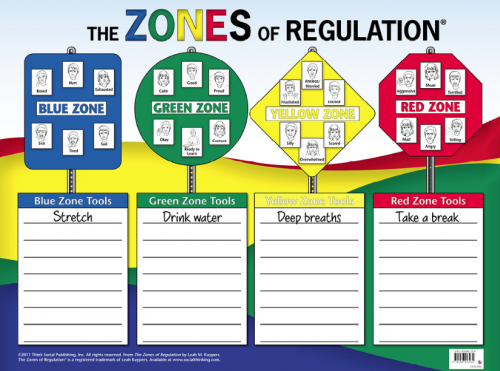 The Zones of Regulation is a curriculum geared toward helping students gain skills in consciously regulating their actions, which in turn leads to increased control and problem solving abilities. Using a cognitive behaviour approach, the curriculum’s learning activities are designed to help students recognise when they are in different states called “zones,” with each of four zones represented by a different colour. In the activities, students also learn how to use strategies or tools to stay in a zone or move from one to another. Students explore calming techniques, cognitive strategies, and sensory supports so they will have a toolbox of methods to use to move between zones. To deepen students’ understanding of how to self-regulate, the lessons set out to teach students these skills: how to read others’ facial expressions and recognise a broader range of emotions, perspective about how others see and react to their behaviour, insight into events that trigger their less regulated states, and when and how to use tools and problem solving skills. 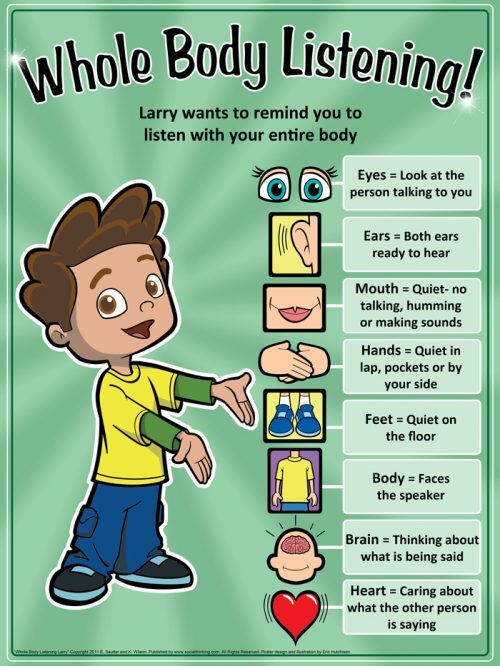 In addition, there are three Zones of Regulation posters to support the concepts in the classroom. 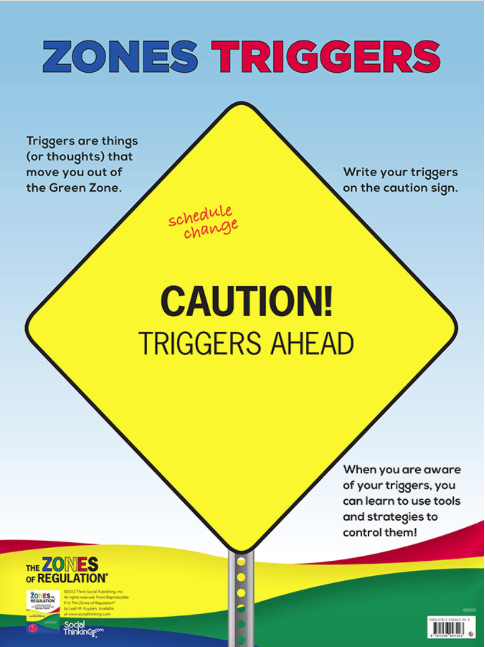 Posters can be found here: Zones of Regulation Poster, Zones STOP, OPT and GO Poster and Zones Triggers Poster. All three posters are Dry Erase, so you can write on them! The curriculum also includes worksheets, other handouts, and visuals to display and share. These can be photocopied from this book or from the accompanying USB drive for easy printing. The free “Zones of Regulation Implementation & Fidelity Checklist” can be found here. Who can teach The Zones of Regulation? The curriculum is designed to be taught by anyone who works with students who struggle with self-regulation. 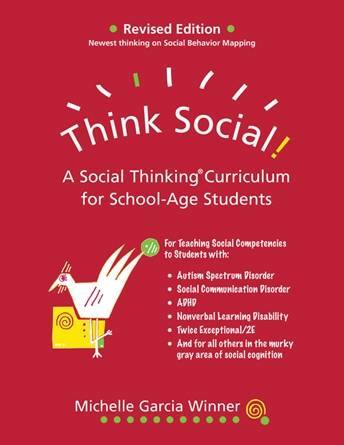 This can include, but is not limited to, special education and regular education teachers, occupational therapists, speech and language pathologists, psychologists, counselors, behaviourists, social workers, and parents. Throughout the text, the user is referred to as “teacher”; however, this does not mean you need to be a classroom teacher to teach the lessons. Who can benefit from The Zones? The Zones curriculum is designed for students who struggle with self-regulation, as described more fully in the next section. Sometimes deficits in regulation could be a manifestation of a neurobiological disorder and/or a social-learning challenge, but not everyone who has difficulty regulating has a diagnosis. Initially the curriculum was developed for students with neurobiological and mental health disorders, such as an autism spectrum disorder (ASD), attention deficit hyperactive disorder (ADHD), Tourette syndrome, oppositional defiant disorder (ODD), conduct disorder, selective mutism, and anxiety disorders. However, it became apparent that the curriculum can reach a much broader population. All people in general can benefit from The Zones of Regulation, not just the students. When one student starts using The Zones, often parents and teachers find it helps the other children and even themselves. Adults who teach The Zones report better insight into their own states and become more aware of the tools they can use to regulate. Everyone experiences difficulties in regulation from time to time, prompting many regular education teachers to adopt it for use with their whole class. The Zones lessons are designed to be used with students as young as preschool age (around four years old) if cognitively they are at or above average intellect, elementary students, secondary students, and adults. Where relevant, the lessons suggest ways to do the activities with younger students (preschool to early elementary years) and older students (upper primary or middle school through high school or adulthood). More mature secondary age students and adults may feel that some of the activities are too “childish” for them but can still benefit from the discussions laid out in the lessons. The depth of understanding will vary depending on the students’ age and grade level, cognition, and maturity, and teach- ing expectations need to be tailored for specific students and groups. For example, you would rarely set a goal for a preschool student to independently regulate by using a tool when facing a stressful situation. You will want to customise how concepts are presented depending on the age and grade level of the students; with younger students, you’ll need to simplify some of the discussions. Although the majority of the lessons are targeted toward students with average to above-average intelligence, some accommodations are provided to allow you to adapt activities for more cognitively involved students or those with less language. Students with lower cognition may not develop as deep an understanding of The Zones, but with consistent exposure, many are able to gain awareness of their zones and follow visual supports to guide them to activities that aid in self-regulation. You may need to further adapt the concepts presented when you teach students with cognitive impairments. The rest of this chapter explores the components of self-regulation, explains how the curriculum developed, and describes The Zones themselves and related vocabulary. In Chapter 2, you’ll learn what you need to do to begin using the lessons with your students. The curriculum’s lessons are presented in Chapters 3, 4, and 5. Chapter 6 includes additional background information about the conceptual basis for The Zones. The Appendix includes frequently asked questions, a set of goals that can be used for IEP documents, recommended resources, footnotes, and the bibliography. Leah Kuypers earned a BS in Occupational Therapy from the University of Wisconsin-Madison and a Graduate Certificate in Autism and a MA in Education from Hamline University in St. Paul, MN. She has practiced as an OT/autism specialist in school and clinical settings, specializing in self-regulation and social learning, and has worked with students of all ages and challenges, including anxiety, ADHD, and ASD. 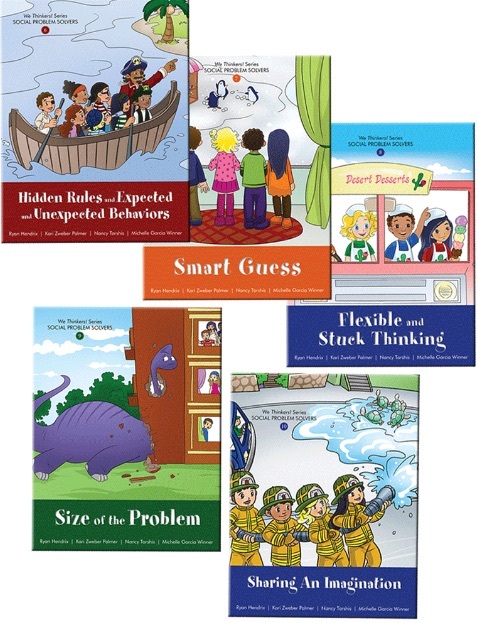 Leah created The Zones of Regulation® (www.zonesofregulation.com), a framework designed to teach self-regulation, and is author of the book by same name (2011, Social Thinking Publishing). 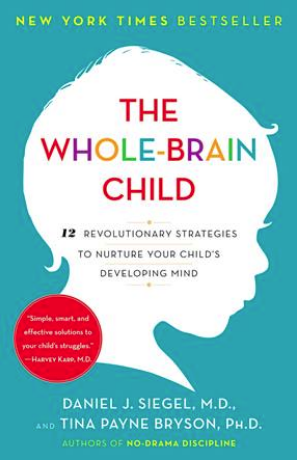 In addition to working with students, she provides trainings and consultation to parents and professionals on self-regulation and challenging behaviour, as well as offers workshops on the Zones to groups across North America. She currently resides in Minneapolis, MN with her husband, son, daughter and dog. To learn more about the Zones of Regulation app click here! 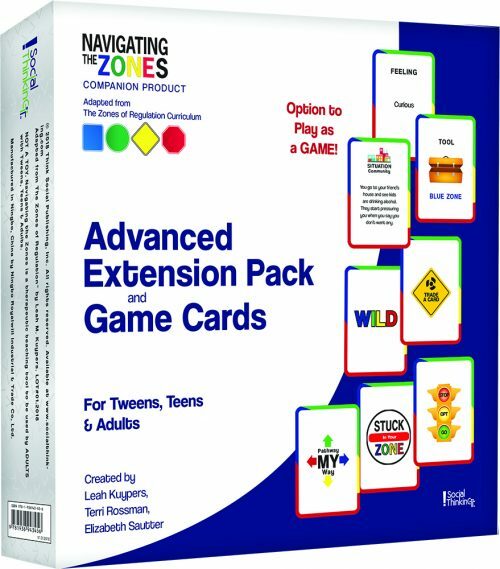 You can extend learning by using the following extension products Navigating The Zones and the Advanced Extension Pack and Game Cards. If your child or client is a visual learner, using YouTube clips and movies is a really accessible and fun way to teach about the social world. YouCue Feelings and Movie Time Social Learning by Dr Anna Vagin are great companions to The Zones of Regulation.